Firefox has always done things a little bit differently when it comes to managing downloads. Via the Downloads window, you can see your entire history of downloads and easily open them as well. But, this isn’t always useful and if the list becomes too long, it is easily confusing. Mozilla thought ahead on this one though, and below we’ll look at adjusting the setting to clear out your download list of history automatically. 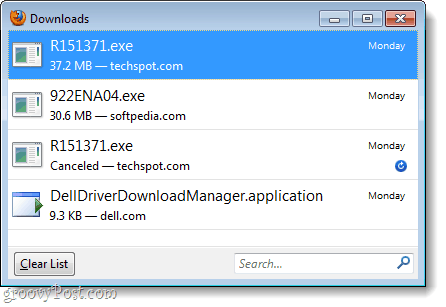 By default Firefox 4 is set to never remove items from your Downloads list history. No matter how old or how long the list gets, all of your past downloads will be there unless you manually press the Clear List button. What we’re going to do in this post, is make this list clear itself automatically. Let’s get started! In Firefox 4, Type about:config into the address bar and Press Enter. A warning window will appear with the “This might void your warranty!” message. You can ignore the message for now and Click “I’ll be careful, I promise!” But, keep in mind that editing values in the config incorrectly can seriously mess up your copy of Firefox. Now, in the Filter box, Type browser.download.manager.retention or just copy/paste it. Once it appears under the Preference Name list, Right-Click it and Select Modify. Now all we have to do is edit the integer value to one of three different options, 0, 1, or 2. I’ll explain what each one does and then you can decide for yourself which is the best for you. 2 is the default setting. This will keep your downloads listed forever, unless you manually clear them. If set to 1, your download list will be automatically cleared whenever you completely exit Firefox. With 0, downloads will only appear on the download list while they are in progress. Once a download is complete it will automatically be removed. For me, 1 is my ideal setting. I don’t need a permanent history of my Firefox downloads, but at the same time it is convenient to have them available on a per-session basis. Once you enter the value you prefer, Click OK to save changes. Changes should take affect immediately. Now your download list is set to clear according to the value that you set in Step 3. If you ever want to go back to the default, just change the value to 2. I admit that I’m not always the brightest crayon in the box but, how is this different from //tools/options/privacy/uncheck remember download history? The checkbox in the options folder will set it to 0. 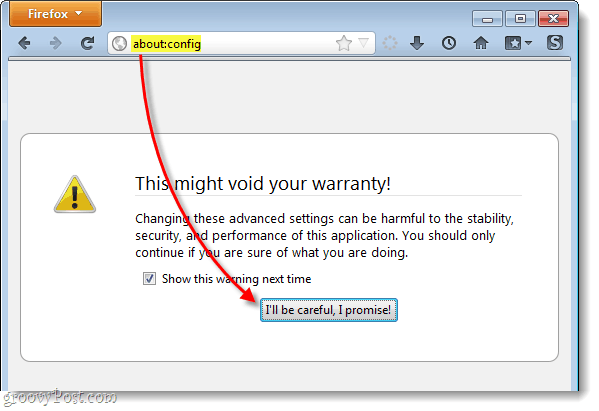 If you want to use option 1 (clear only when closing Firefox) you’ll have to adjust it in the config. Thats what I fuggured but I thought I’d ask. Thanks.